This article will help you design your own business cards and get them printed as inexpensive as possible. 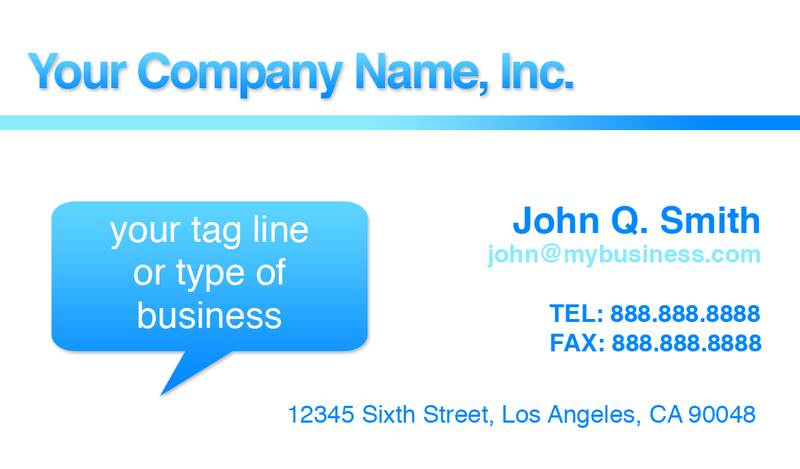 below we will provide you business card templates with guidelines to show you where your text and layout should go. Once you are done all you will need to do is save your new business card design and submit it through our direct order system to have your business cards printed as cheap as possible. At Print Fellas we use the Adobe® Suite of professional image editing tools such as Adobe Photoshop® and Adobe Illustrator®. If you have any of these tools already you have a head start. If you need image editing software, you can use any of the free image editing tools on the market. We suggest Adobe Photoshop® because it is the native file format for all of our business card templates, but you can also use GIMP, Paint, or Picasa. Below are links to our blank business card templates. 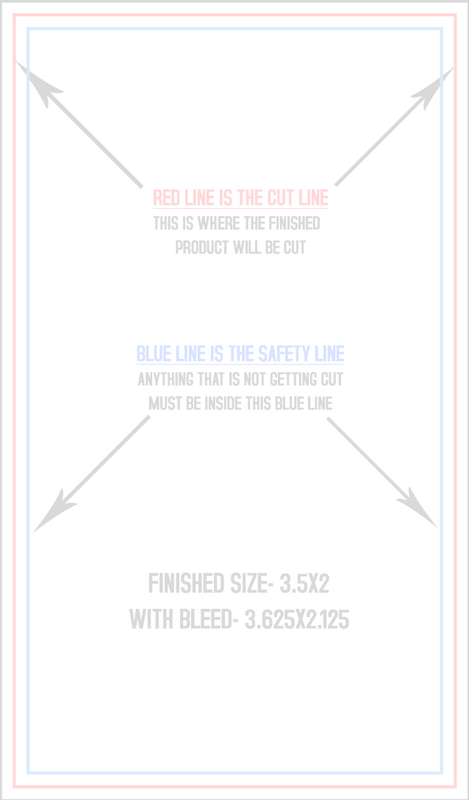 These business card templates have guidelines in them to tell you where the card will be cut, and the limit your text needs to be inside of so it will not be cut off. Use the PSD business card file in Adobe Photoshop®, use the PDF version in Adobe Acrobat®, and the JPG and TIF files are universal and can be used in any image program. Right click on the file you want and select "Save Link As" to save to your computer. If you would like a head start, we are providing a free business card template design to get you started. This template has easily editable text, space to place a logo, and the files are set up so that everything is in the right place. It is important to remember that a business card is relatively small, so only placing the most important information on your business card is essential. If you place too many contact numbers on a card it can confuse people and they have to choose which number to call. You should lead them to the best contact number by only using one number, or bold the most important phone number for them to call. Save your business card design in the format you downloaded it as. If you need to reference artwork guidelines, read Print Fellas Artwork Guidelines. Go to our direct order business card page and start uploading your design. Fill out all of the information on each page of the checkout process. At the end above the payment section, you will see a discount code box. Use discount code: IDESIGNEDIT to receive 30% off. On your business card order confirmation you will see an estimated delivery date. That is it, you have successfully designed and printed your own business card design. Save your business card design for your next order so you can make adjustments as needed. Free business card templates are cheap and inexpensive. Yet, it is the most powerful marketing devices you can apply to promote yourself and your business. The most important concept to bear in mind when it comes to business card templates is making sure about the design you create for your cards as it reflects the image that you want to put across. There are lots of companies which create free business cards templates. The companies look at the contentment of clients than anything else as a good name will absolutely assist them in achieving prospective customers. These companies include their text and logo to the back of the free business cards templates that in return helps in the endorsement of their business, too. Who offers free business cards templates? There are plenty of websites who offer free business card templates to make it easy for you to produce your professional and convincing card. Moreover here are some of the best places to get free business cards templates. The website provides free business card templates yet with a twist. 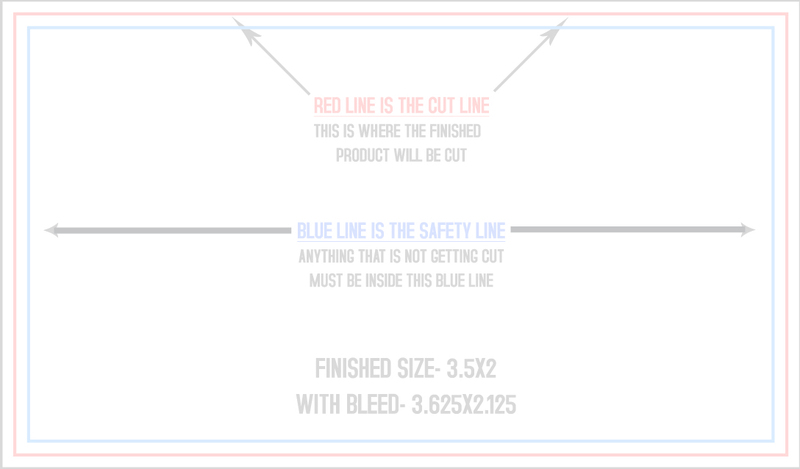 The free template contains URL of the site printed using small font on the final print out. No one can edit the URL. You are also able to get the same free business card template minus the URL for a small payment. There are several designs to select from; you only need to decide whether to acquire the free or the paid version. This website is a good choice, if you look for a fast and easy way to make a printable card without any software needed. The Business Card Land has starter templates that you are able to apply from the scratch. The free business card templates are available in illustrator format and Photoshop. The illustrator format is accessible in 8-up layout and works through Avery paper, as well as 10-up layout that work through pre-cut templates. On the other hand, the Photoshop format simply comes in a single layout. Microsoft provides online card templates that are set for print. There are mostly several designs and layouts to select from. Both vertical and horizontal layouts are available. There are free business card templates that appear as single cards and others that appear in 10-up layout. Just ensure to verify the program applied for the free business card templates to see if it's supported with your computer. HP has many free business card templates obtainable in Microsoft word format as well as in horizontal and vertical layout. Every one of these free business card templates is set to be personalized. You only need to supply your contact details and after that, print it. If you are using Google Docs, there are free business card templates that you are able to personalize. You just simply key in your own contact information, and you have your personal simple card. These free business card templates utilize very simple graphic elements and are accessible in many layouts. The biggest advantages of free business card templates are its capability to free download and easy to edit and adjust. You can change the text style, font color, background color and also insert your business logo effortlessly. Even if free business card templates have gradually declined in cost more than years, mass production is still capable of representing an expense that some companies prefer to avoid. Through using free business card templates design, any company can lessen its marketing charges and overall budget. And since these free business card templates can be customized as required, no company has to fret regarding being locked into some one design for longer than it prefers. Frequently, a company will find itself applying cards that were designed several years in the past. Free business card templates can be an ideal way to any company to update its image and make a new design that better replicates its more modern-day nature. One way to actually save on cost is to use free templates for your business cards. Whether you are in photography, real estate, or plumbing, free business card templates are great savings for your company. You will no longer need to hire or pay for expensive business card designs. Moreover, there are plenty of available templates that can match your business needs. Free business card templates allow you to maximize your budget in creating name cards for either personal or business use. Was this helpful? If so, please consider linking to us- every link helps. We are also online at Facebook, Yelp, Google, and The Better Business Bureau.